I believe that our first internship takes place around the dinner table. Somewhere between practicing table manners and drawing ketchup faces, we absorb what our parents do for a living. With an ad exec mom and doctor dad, I soaked up branding, story-telling and science. All of these come into play for a beauty editor, from lipstick launches and mascara marketing to sunscreen formulas. A few years ago, giving out fragrance testers at rock concerts drove sales. Today, outside-the-box branding requires much more effort, and the brand that collaborates wisely wins. Retail cross-promotion is the equivalent of holding hands and walking into the sunset together. What took us so long? I'm excited and proud to tell you about a brilliant example of this strategy, spearheaded by my childhood friend, author Emily Liebert. Emily teamed up with Zoya to launch a limited-edition collection ($24) based on her debut novel, You Knew Me When. The collection includes a trio of a rich, autumnal opaques inspired by characters in the book: Luella Hancock (vivid amethyst named after a wealthy neighbor), Katherine Hill (vibrant crimson named after a glamorrous cosmetics exec), and Laney Marten (luxe forest green named after a Vermont native). But here's where brilliant branding comes in. Emily sent me an email back in December 2012 to ask if I could connect her to a nail polish company. "My first novel is largely based around the cosmetics industry. The main character is an executive at a large (fictitious) cosmetic conglomerate and the other main character works at a day spa. I thought it could be a fun PR idea to partner with someone. . .I could promote the polish while promoting the book on TV, radio, and in women's magazines." Between changing twin diapers and mixing Similac, I suggested reach out to Zoya, a brand that distinguishes itself for its natural, non-toxic composition. Emily triumphantly took it from there. Fast forward a few weeks. I got another email from Emily: "Quick note to say thank you so much for suggesting I reach out to Zoya. We've just cemented our partnership. 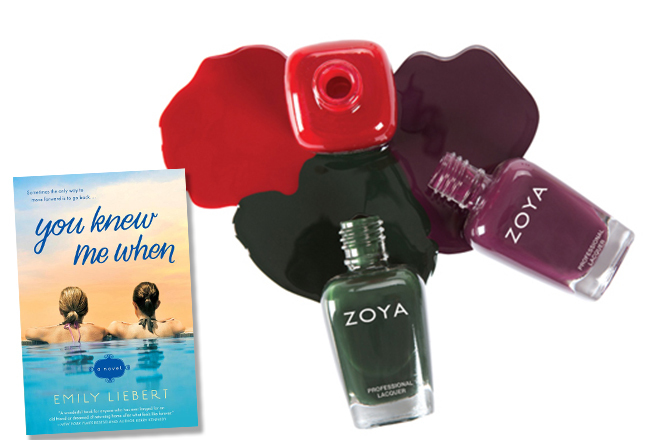 They're going to be creating a nail polish collection called, You Knew Me When, after my book—with three polishes named after the three leading female characters." This, people, is beauty and creativity combined with persitence and execution. Can Emily be any more inspiring? This girl knows how to get. things. done. Her entertaining novel follows the friendships of three women, with familiar threads that will undoubtedly humor and move you. They're so alive, they leap from the page. And the beauty industry intel will make you feel like you crashed a staff meeting at Revlon, L'Oreal or Estee Lauder. I can't take any credit for that. It's all Emily and her ace reporting skills. Scout's honor. I suggest you buy the book and polishes quickly. 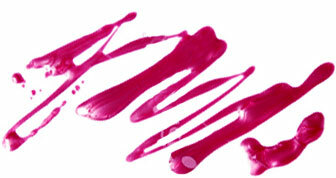 Emily's next novel, The Love That Lies Ahead, will be out before your top coat dries.